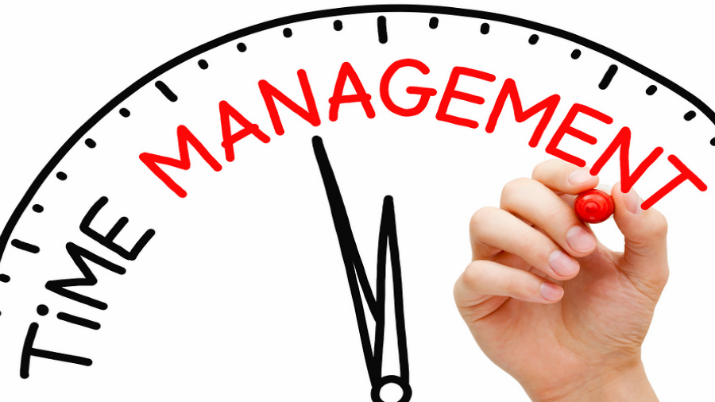 Time Management is a set of principles, practices, skills, tools and systems that help you use your time to accomplish what you want accordingly.It is much important with respect to your personal life as well as career success. This also teaches you how to manage your time effectively and make the most of it.Time is a that resource which you cannot store or save for later use. Everyone has the same amount of time each day. Time is a gift that God gave us. It is a precious one that each one of us should use judiciously. One day we will either sadly regret the time we waste doing useless things or proudly reminisce the time we spent shaping our future. Having a bright future depends upon to a great extent on how well one did at university. Hard working students achieve high positions, whereas low achievers achieve little if not nothing. Time is limited resource of getting much more efficiently and effectively. Most of people, feel like they have too much to do and not enough time. They alleged lack of time for their poor finances, stress, bad relationships, and for not exercising their body. Keep in mind that time is a Confined resource as a Chinese proverb says that no amount of gold will buy you time that has passed.Judicious time management can help you to find the time for what you wish, and for what you need to do at the time. Time management will assist you to draw your priorities. Time is limited to 24 hours per day, so plan your life wisely and judiciously. Time management helps you take conscious choices in order to spend much of your time doing things that are significant and worthy to you. Realize and understand the significance of time management, as your career success depends on these small steps across time. If you don’t take care of the seconds, the minutes will waste, and so will the hours and days. To get rid of the feeling that you have much to do and not enough time, just try to feel and think you have all the time in the world. This kind of thinking would enable you to focus on what you are doing, without stress and strain. In order to make your time most effective and productive, take SMART strategy or SMART goal is of so much beneficial for student’s time management and thus for their success as well. “S” refers to specific meaning that students should have specific goal. Having specific goal will help students focus their time and energy on one specific objective before moving to the other. “M” refers to measurable as long it is. “A” stands in it as attainable “R” is for Realistic and in the end “T”stands for Time bound. Be honest with ourselves and admit that there is no magic strategy that will solve our time management problems or shall make us the most successful students in our university or in career as well. Strong Vibrant willingness, determination and perseverance with respect to saving time are the key attributes to success. Success doesn’t come overnight while it is a process in which time management plays a significant role. It is said that the future belongs to those who prepare for it today and who know how to manage their time efficiently and effectively. Create a daily plan or Schedule according to your priorities at hand with full of zeal and zest. Use a calendar in order to remind yourself for deadline against any task or goal relating to yours. Learn and make habit of saying No just take strong determination for making possible of an impossible. Be Focused and attentive towards your set strategies and work plans. Block out all distractions and irrelevant elements which are going to become hindrance in your progress in way of your goal. Devote and pay your entire focus as well attention to the task at hand with full of your potential and capabilities. To Conclude, I can say that in presence situation time management is most crucial for an individual to make its life disciplined as well as in rhythm. Today we are living in reign of stiff and cut-throat competition and its dire need to get approach of smarter work rather than harder work. In Pakistan students as well professional are lagging behind the standard criteria of progress due to less effective time manager. Managing time is incumbent today for an individual in each pattern of life either you are living in Pakistan or on piece of land in the world.Its an umbrella concept for success and progress as well. Without it you can never ever meet your desired and keen priorities.